Ground ball is a rolling and trapping activity that leads to improved fielding skills. Players line up side-by-side, each with a ball. 1 player begins facing the group, 10 metres away. 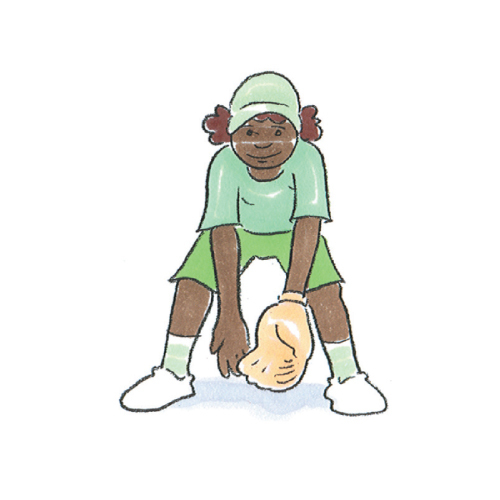 On ‘GO’, 1 player at a time rolls a ground ball in the direction of the other player. The player must move to field and return as many ground balls as possible within a certain time. How can you field the most ground balls? Once you field the ball, what do you need to do to get ready for the next roll?